Model: This is the end car with hinged and removable buffer beams and adapters for standard close couplers. Chock blocks for trucks are included. A truck model is included. 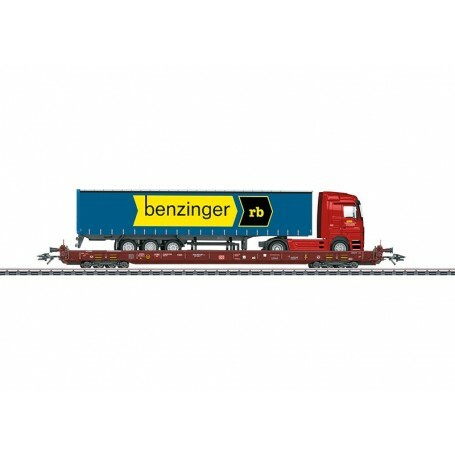 Length over the buffers 23.2 cm / 9-1/8'.DC wheel set E432950.